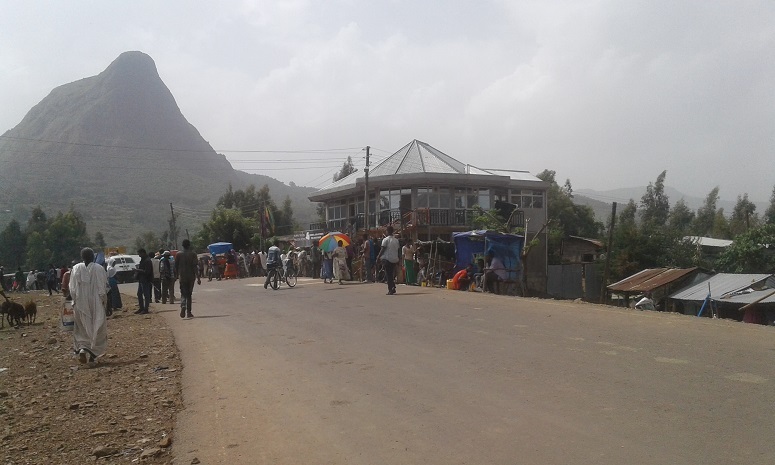 The main road in Tikil Dingaye, 20km from the historic city of Gondar in Amhara State. A Pentecostal church in Ethiopia has been ordered to stop meeting in a residential area, in the wake of a mob attack on the church, after which a church member was arrested for “illegal activities” that “incited religious clashes”. The Full Gospel Church in Tikil Dingaye, 20km from the historic city of Gondar in Amhara State, previously applied for land on which to build a church, but its application was refused, leading the church to purchase a house in which to meet. The attack on the church took place early in the morning of Sunday 11 June, when a mob destroyed the church’s meeting hall, offices and the accommodation of a church worker. They also stole money from church members and assaulted some of them, including one man whose front teeth had to be removed due to the injuries he sustained. The attackers are thought to have belonged to a student movement called Mahibere Kidusan, seen by its critics as “fanatical” in the way it operates to protect the traditions and dominance of the EOC in society. The group has been criticised by the Patriarch in the past for “bringing unfounded charges” when it claimed that the evangelical renewal movement in the Church was infiltrating EOC-administered seminaries. In June, a member of the mob is believed to have stolen and handed to police church documents outlining plans for evangelism. A church member was then arrested and charged with “inciting religious clashes through illegal activities”. Church leaders reported the attack to the local administration office in Gondar, and asked for protection against further attacks. Instead, they were issued a letter informing them they were no longer allowed to conduct religious services in a residential area. Last month, World Watch Monitor reported another attack on a Full Gospel Church in Hirna, a rural town in the Mirab Hararghe Zone east of Addis Ababa, also because of anger at Christian evangelism. This Ethiopian Christian, also a member of the Full Gospel Church denomination, was attacked by a gang of Muslims with machetes. 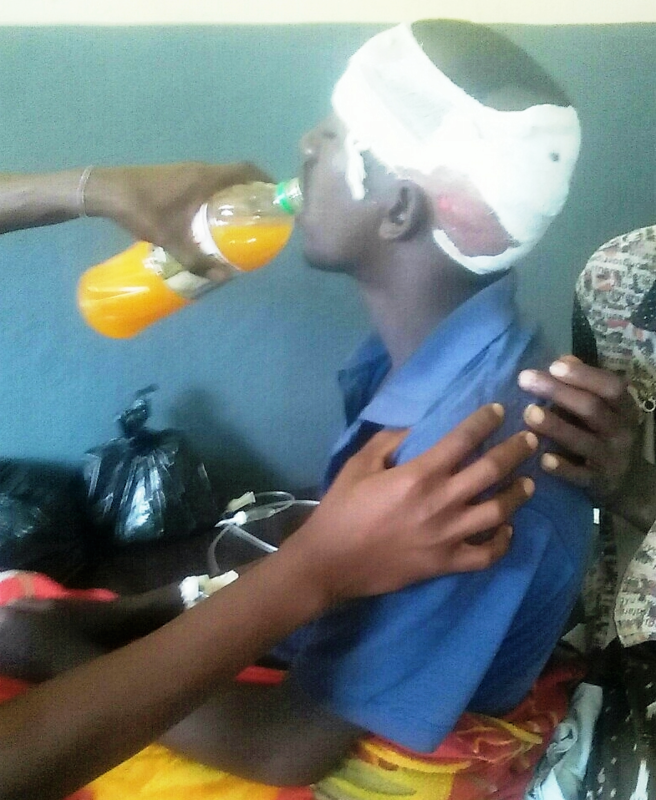 During that attack, on 16 July, a 27-year-old man suffered deep wounds to the back of his head when he was attacked while alone in his home by a group of local Muslims with machetes. The man – who, for security reasons, cannot be named – was left needing life-saving surgery. His local clinic referred him to the hospital in nearby Asebeteferi, who in turn sent him to Adama, where a doctor, believing he would die en route to a bigger hospital, operated on his wounds. Although he is still unwell, the surgery stabilised him enough to be taken elsewhere for more specialised treatment. According to Open Doors, which produces the annual World Watch List of countries where it is difficult to live as a Christian, violence against Christians in Ethiopia is increasing. More than 100 incidents were recorded in 2016, including physical attacks on people and businesses, imprisonment, and murder. But Christians face other forms of harassment. A Muslim who has converted to Christianity will often be shunned by family members, and denied inheritance and child custody rights. Also, evangelical Christians face challenges with the more conservative Ethiopian Orthodox Church, as well as the government. Tigray state in northern Ethiopia is considering adopting a new law that would ban Christians from evangelising outside church compounds and make it difficult for non-Orthodox Christians to own their own church or even meet in a house.